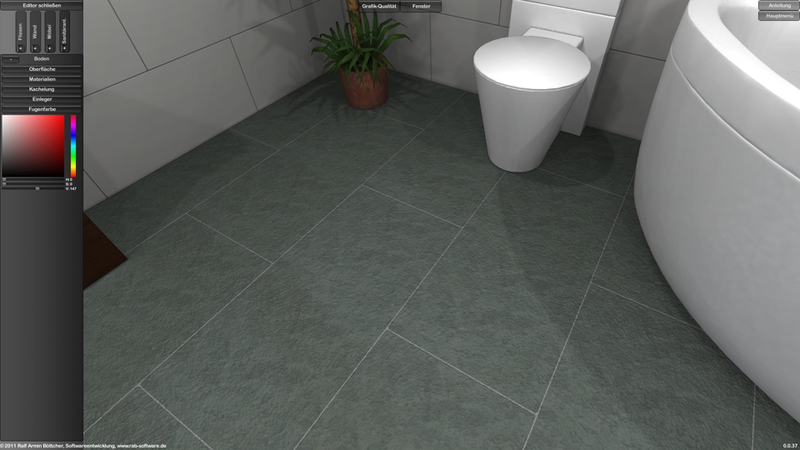 Our 3D tiling world opens up completely new perspectives for you: as a flexible planning and sales tool, it makes living concepts visible and immediately tangible for the first time without any effort. 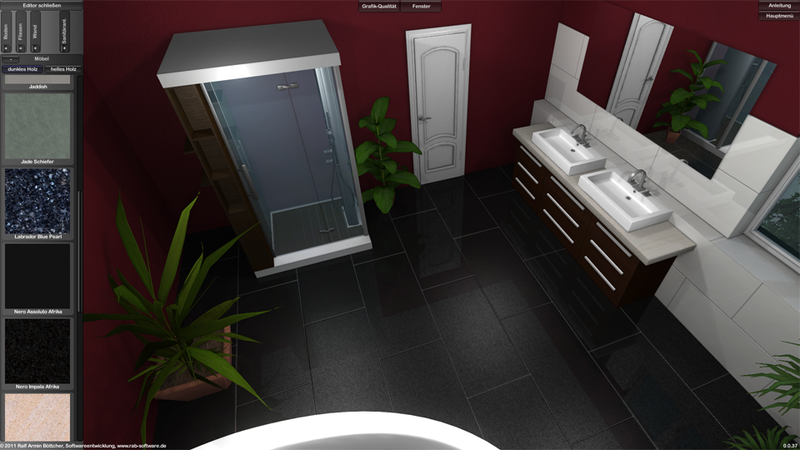 The individual planning of interiors and exteriors as well as the virtual testing of the entire color and spatial effect is possible with her in an effective way. 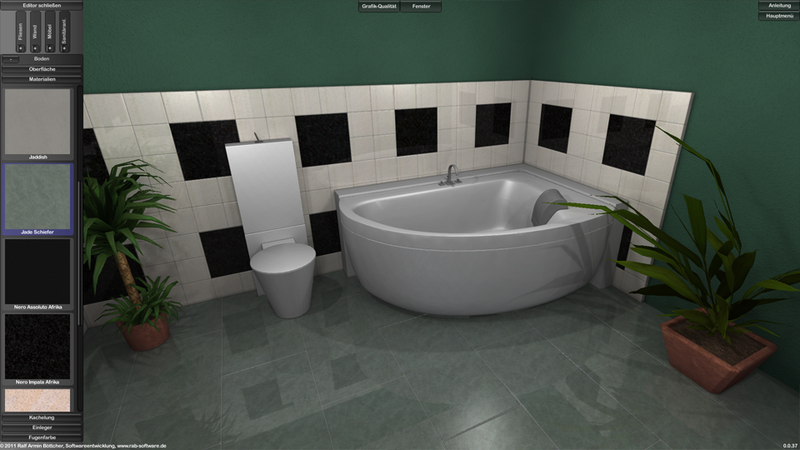 Make it easier for your customers to make purchasing decisions and give a face to the most unusual furnishing ideas! 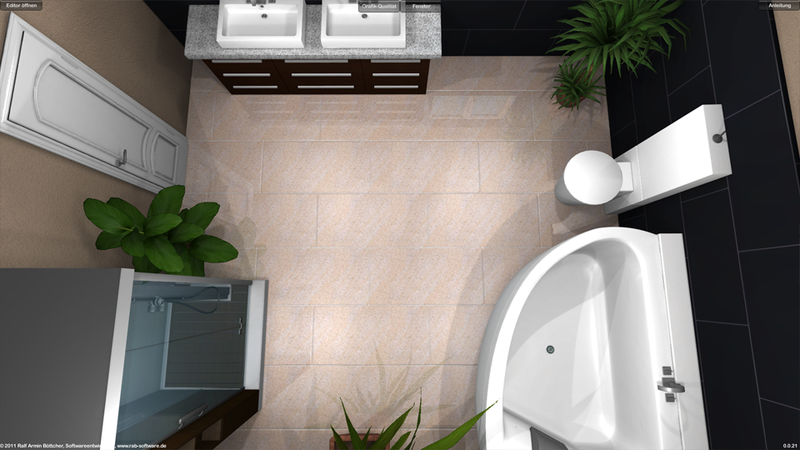 With just a few mouse clicks, design the new dream bathroom, the long-awaited dream kitchen or your Mediterranean natural stone terrace and see the result immediately! So planning makes fun. Your customers will be convinced faster! 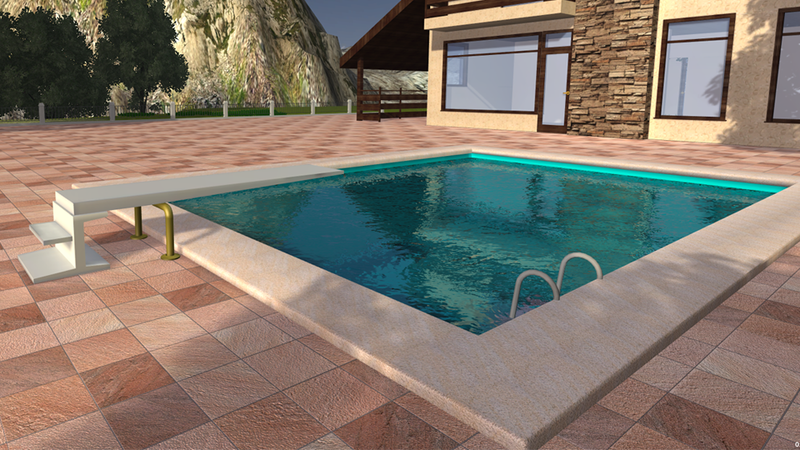 You do not need any training for our 3D tiling world, because the software is easy to use with its intuitive menu navigation - even from your customers. With our useful tool, you, as a tile and natural stone trader, can present your entire range of products in lifelike 3D living spaces close to your customers for the first time on your website. In this way, you can effortlessly reach your customers at home and present themselves from your media-rich page. 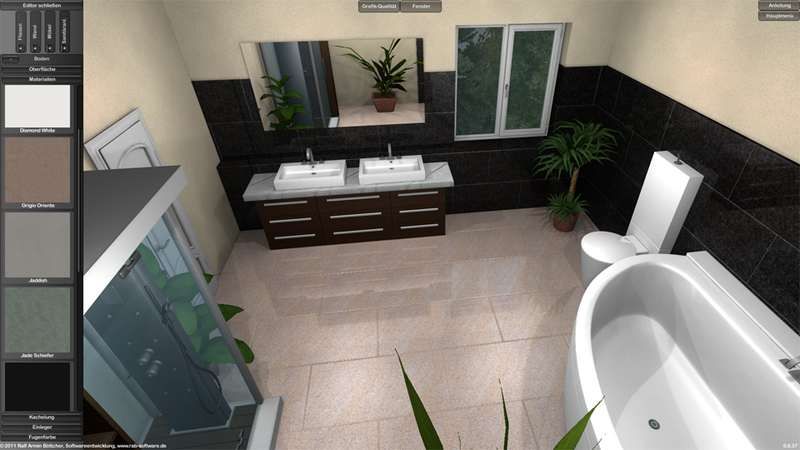 The software contains a material library that integrates the image data of all tile and natural stone designs that you offer for sale. 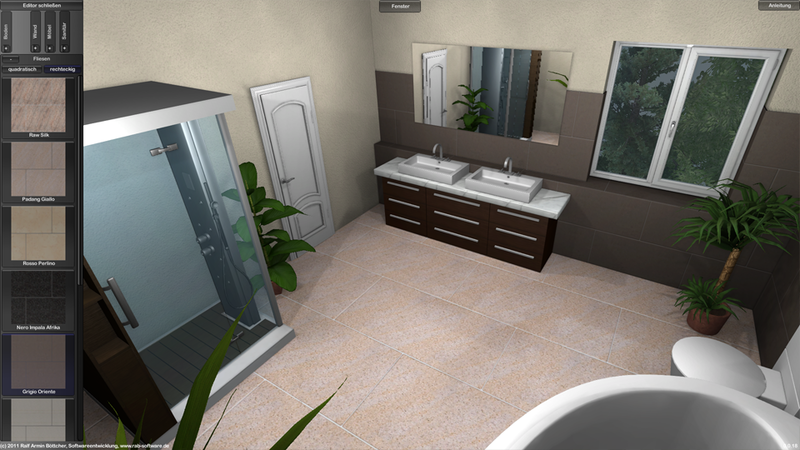 It can be expanded at any time with new products / designs. 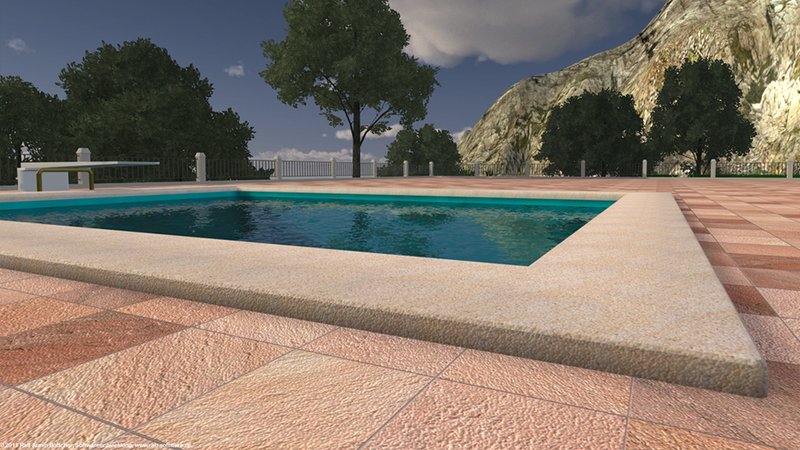 With the "Editor" all surfaces and materials in the virtual space can be exchanged and combined with each other. 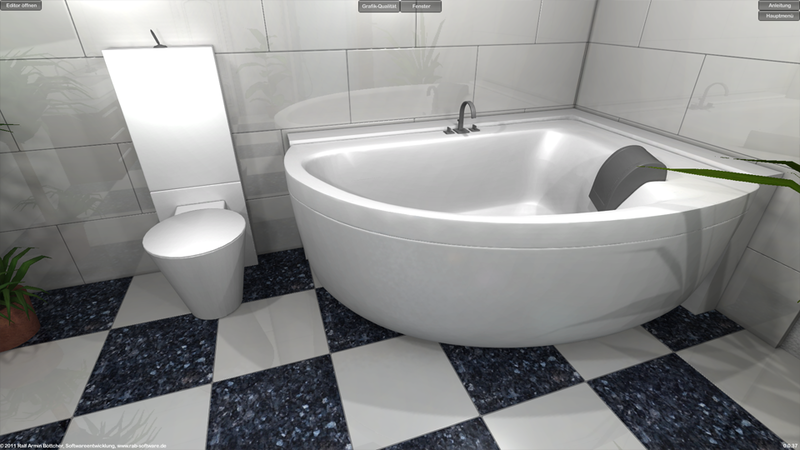 The innovative control from the first-person perspective enables immediate viewing of the color effect from different angles; zooming is done with the mouse wheel. 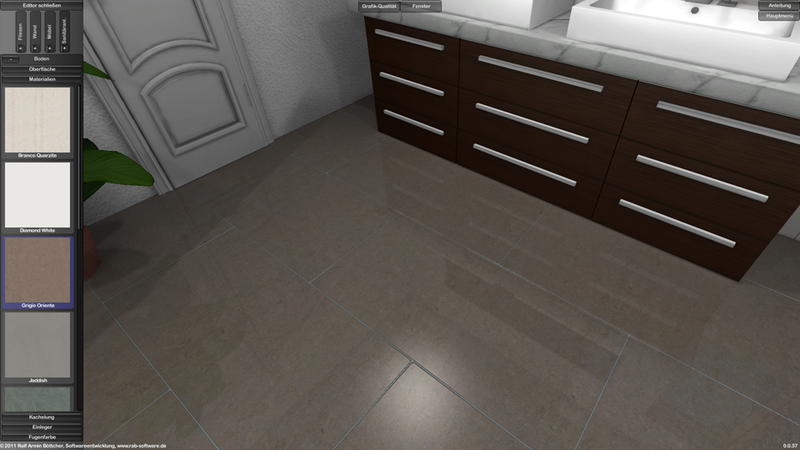 Perfectly simulated light and shadow effects bring out the natural reflections and gloss of all tiles - a qualitative advantage over normal product photos and rigid renderings.